Forever World is a planet in the Gateway Sector, that houses the famous ancient, alien artifact the Guardian of Forever . A fairly desolute planet, Forever World consists mostly of rocky terrain, however; it does have one body of fresh water, Eternity Lake . Forever World has multiple caves thought to be rich in latinum ore. However, the caves are reliatively untouched due to terrority conflict within the Gateway Sector. The planet itself is often hard to approach by starship as it periodically emits time distortion waves, caused by the Guardian of Forever. 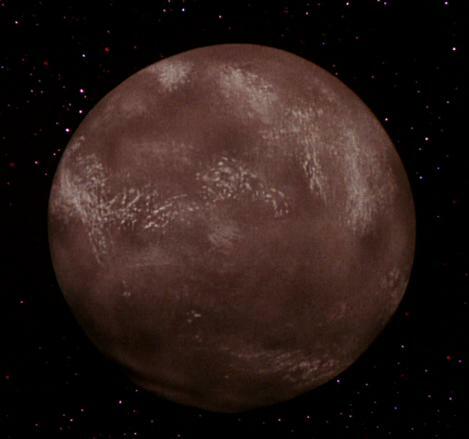 Although labled an M-Class Planet, Forever World has only one primary source of water, which is relatively small, and very little surrounding vegitation. The planet is mostly rocky terrain, with remanents of ancient structures that are mostly destroyed.